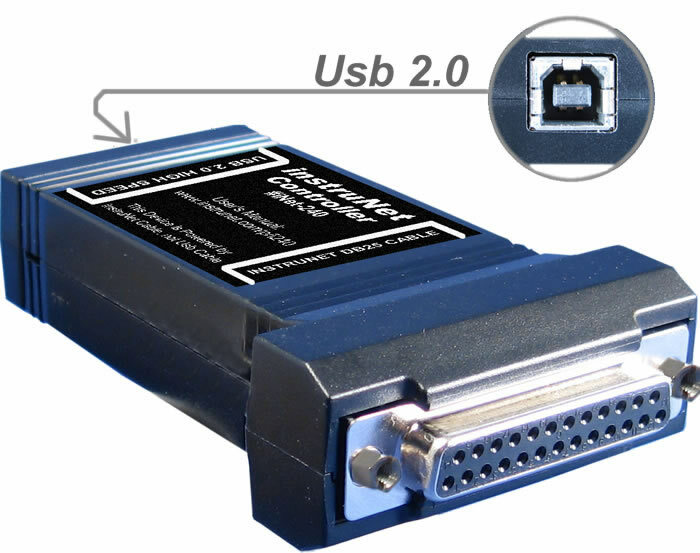 The i240 USB instruNet Controller is used to connect a Windows ≥ Xp Sp3 computer to an instruNet network via the USB 2.0 High Speed bus (480M bits/sec). An instruNet network consists of i4xx Card Cages and i100 boxes which are daisy-chained together. The i240 requires an external power supply (e.g. 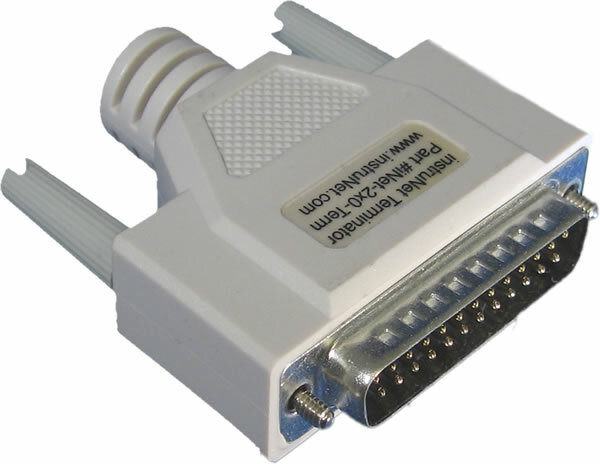 iNet-312.8, sold separately) and a computer with one free Usb ≥ 2.0 High Speed (480M) port. For details on working with multiple i240 USB Controllers, click here. In a typical application, the i240 controller interfaces an i4xx Card Cage to a Windows computer, as illustrated below. The #iNet-240 product includes instruNet software, a Db25 instruNet Terminator, and a 10ft (3m) USB A to B Cable, as shown below. For a better view, click the image to Enlarge.